This is the best thing I've seen. This is HUGE. Awareness has always been the key and you guys seemed to have pulled it off. I'm speechless. Congrats - great exposure for IDNs! Congrats...be interested to know how your website traffic jumps. Last edited by IDNCowboy; 12th January 2010 at 12:36 AM..
Wow! How much does an ad like that cost? Is it the first time ever that Time Square features a domain related ad ? Congrats! Well Done! Very cool! We had one at Shibuya more than 2 years ago. It was a flop. Cyber Agent is no longer advertising IDNs and those names have dropped. Warning to cyber squatters: DON'T REG THEM. YOU HAVE NO RIGHT TO PROFIT FROM THOSE CELEBRITY NAMES. WE WON'T ALLOW YOU TO SELL THEM HERE. I guess they were too early to sell IDNs. Back then, IDNs didn't resolve for most Internet users. 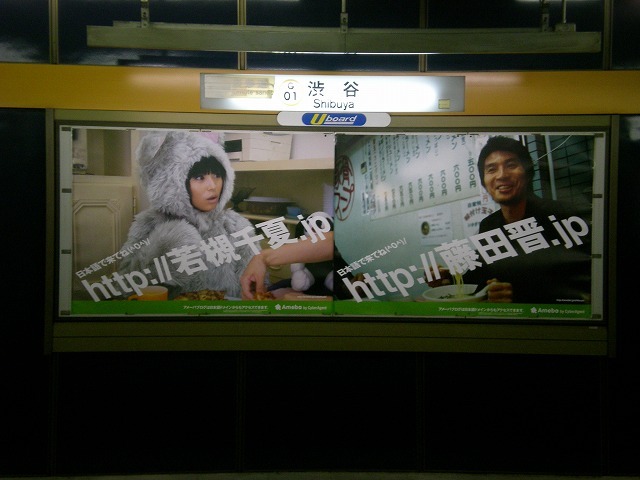 BTW, the shameless registrar behind the billboard was asking JPY 4,515 for IDN.jp registration. And it prohibited registrants from transferring names away. Last edited by Ryu; 12th January 2010 at 02:39 AM..
What a wonderful milestone to start the year with. Well done guys for that. Congrats to Aaron and Gary. I don't mean for their groundbreaking advert, rather for mesmerizing Steve into what must be his shortest ever post. The problem is still the logo, if you aren't already in the business, you aren't sure which order the I D and N should go to read it.